The Jessica Stuart Few are wrapping up a West Coast tour right now, and despite the weather's best efforts, it couldn't be going any better. You know it's going well when it's referred to as a "working vacation" and that's exactly what Stuart compared it to when I caught up with her at The Fort St. Cafe the other night. Venturing out west has been great for the Toronto based group, as an invite to the Chutzpah Festival in Vancouver set the tour in motion. The chance to get out and play some gigs was great, but to do it in a familiar place at a slower pace made the winter tour quite enjoyable. "I’m from Vancouver originally, so I got to visit with my folks who live there, and I was in Victoria more recently than I was in Van, so I have a lot of people to meet and connect to here as well. So its been really relaxed. Also my dudes have had a chance to do some stuff, have some fun, so its not just been driving-sleeping-eating-loading-playing-loading-driving and repeat. So its been great." Her body language completely backs her words. She sits relaxed but aware, answering questions thoughtfully and honestly. Through all this though you can see she means business when it comes to her music. In todays market that demands every artist needs to have a business sense as well as the music ability, Stuart's got it. Their latest project, a music video for "Kid Dream" is a perfect example. The group had 100 animators trace over 2700 frames on paper. The animators were all volunteer and varied widely in age. The result was better than they had even imagined, and it's being received that way as well. "It’s been great, everyone loves it. We had the big party launch show and that was awesome, and we had the all ages launch which was for the younger folks who had been involved. So we ended up with about 30 kids and their parents at the studio where we had done a lot of the animating for the video and we played a short performance and screened the video, and that was also awesome. Now we want to see what kind of opportunities we can find to maximize the viewership of this video. So before launching it online we are trying out different television options, but they all have requirements about not screening the video on YouTube or anything like that before they have a chance to premiere it." The group will know better as the week progresses just when and where the video will launch, but Stuart doesn't seem too concerned about where it launches, her confidence obvious in the project. New project's are not far between for the jazzy Toronto group, and 2011 is looking good. With recordings in the works, a Toronto Arts Council grant for 8 brand new recordings, an upcoming East Coast tour, and a possible rip through the West Coast interior this summer, The Jessica Stuart Few are going to be showing up in a lot more people's music libraries. Being in Toronto has really helped the group flourish. "The idea that I can play every night of the week, potentially with different bands, but whatever, in Toronto, and not play the same venue twice in a year? Yeah that’s great. It’s amazing. There’s more musicians, there is more opportunities, it's just a larger scene. To be more specific. It’s not just a music scene. There’s parts or factions of the music scene that you can tap into, so that’s great." Even with such a busy 2011 lined up already here in Canada, Stuart is thinking about the international stage, and what she has to do to get there. 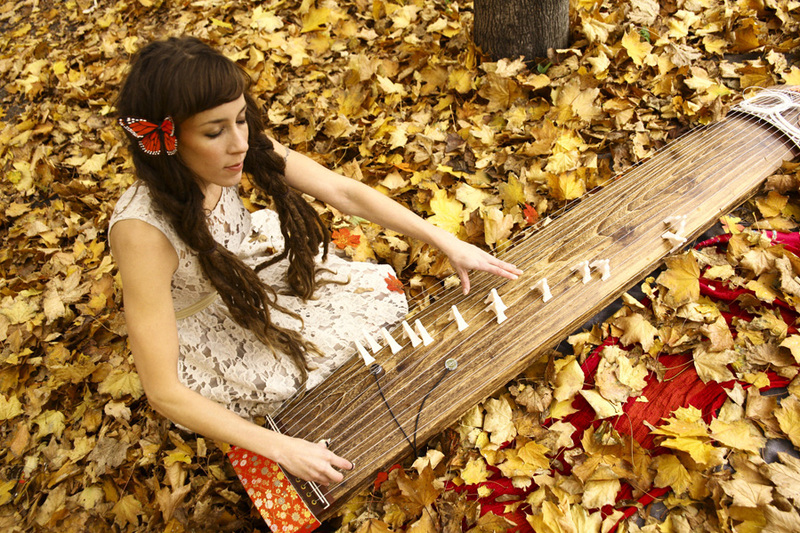 "I lived in Japan when I was younger, that's how I learned the Koto. I studied out there for a year. It's good to take lessons. I’m doing a totally non conventional style of playing and writing on Koto, so it'd be good to get back to studying other peoples work again. It can only be inspiring and make me a better player. Also I just long for Japan. It's one of my homes. Any excuse I have to get back there I'll take it. I imagine myself being in Japan within the next 2 years for sure. The running plan at the moment is to go out there, take some contemporary Koto lessons with some non traditional people, buy a new Koto, make some connections in the music biz out there and sort of pave the way for a future tour to Japan. And also learning music industry language, because I speak Japanese fluently, but I don't know anything about music biz talk, so that would be something very useful." Another artist just looking to get better at her craft. And another artist with the drive and desire that make you cheer and wish success for. 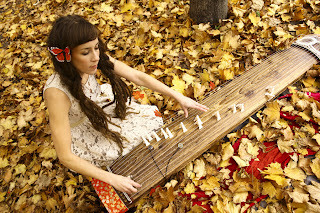 Get out and see The Jessica Stuart Few while they are still in our home and native land. You won't be sorry.